If you are reading this article right now, you most probably have heard quite a lot about SmartStrand carpets, but you are still unconvinced by the quality. Indeed, SmartStrand carpets are very popular right now. You can find them in various stores and retailers, and they claim to have unbeatable spill protection and permanent stain resistance. But, are they really that great? Below, we are going to see how a SmartStrand carpet compares to your typical nylon carpet. 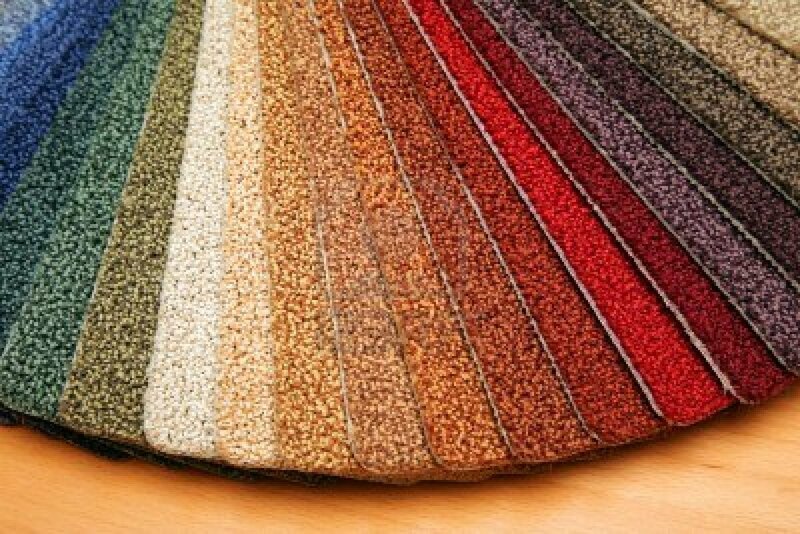 When choosing the right carpet for your home, there are several factors that you need to consider, such as quality, durability, maintenance, and cost. We are going to compare the carpets based on those factors. Let’s start with the overview to give you a general idea about these carpets. Nylon has been used for carpets for quite a long time. Today, about 65% of all carpets sold in the United States are nylon carpets. Nylon carpets are preferred by many people because they are durable, resilient, and quite resistant to stains and abrasion. Nonetheless, there are actually two types of nylon carpets, type-6 and type-6,6. Although modern technologies have narrowed the gap between the two, type-6 nylon carpets are still considered as a more cost-efficient option whereas type-6,6 nylon carpets are considered as premium products. SmartStrand is a brand. SmartStrand carpets are actually made the Sorona fiber, which is essentially a polytrimethylene terephthalate (PTT) material that is a separate subclass of the triexta fiber. The triexta fiber is quite new, but it should not be overlooked because of the lineage – it is actually invented by DuPont as well. Yes, the material used for SmartStrand carpets was invented by the same company that invented nylon. Both nylon and triexta are synthetic materials, but they are composed of different chemicals. PTT is produced by using two monomer units, which are 1,3-propanediol and dimethyl terephthalate. Since the materials used in nylon and SmartStrand carpets are actually invented by the same company, albeit one is older and the other is newer, you are certainly wondering whether the new material is actually better than the old material. However, there are two types of nylon carpets, and the quality of the product may vary by brand. So, you can’t precisely compare the quality of the carpets. However, when comparing nylon and SmartStrand carpets of equivalent quality, you can say that they have little difference. Nylon carpets are known to be very durable and resilient. Nylon carpets can last for quite a long time, especially with proper care. Well, according to the manufacturer, SmartStrand carpets are as strong as nylon carpets, able to last just as long. 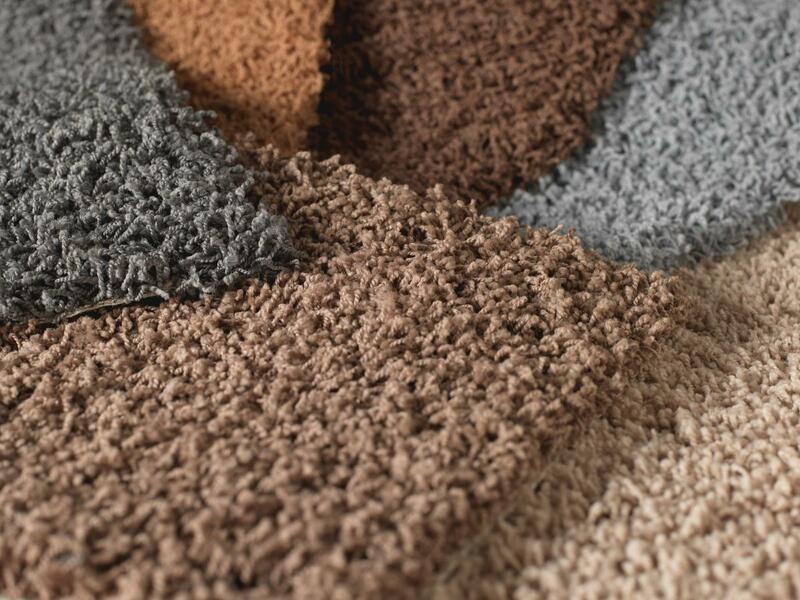 Still, you can notice a significant difference between nylon and SmartStrand carpets. Nylon carpets are somewhat more resilient and bouncy. Therefore, they can bounce back from compaction more quickly. On the other hand, SmartStrand carpets are not as bouncy and are rather softer. There are several SmartStrand product lines that vary by texture. The regular SmartStrand carpets are somewhat softer, whereas the SmartStrand Silk carpets are even softer and plusher and incredibly comfortable. 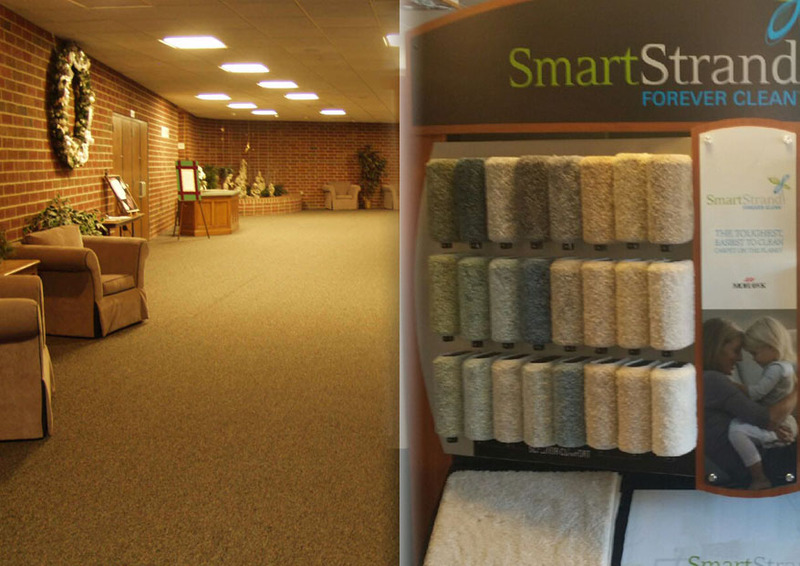 There are two bold claims that the manufacturer has stated about SmartStrand carpets. They have unbeatable spill protection, and they have permanent stain resistance. Nylon carpets are not inherently stain resistant, as the material can absorb water. They have to be treated in order to resist stains. Then again, if a stain manages to penetrate deep through the treatment, the stain will be very difficult to remove. On the other hand, SmartStrand carpets are inherently stain resistant because the material is hydrophobic – non-absorbing. Stains will not penetrate deep into the carpet, and you can clean it easily by using water. One of the most common critics often directed to products made from synthetic materials is that they are not eco-friendly. This is especially true for nylon carpets. These carpets are made using petroleum products, and may release volatile gases which can deteriorate the quality of the indoor air. On the good side, many nylon carpets nowadays are made using recycled materials to reduce the negative effects to the environment. SmartStrand carpets are also made from synthetic materials, but they are somewhat more eco-friendly because they are produced using corn glucose – a highly renewable resource – In place of petroleum for up to 37%. Comparing the prices is somewhat tricky because there are many nylon carpets of different quality and prices. However, a SmartStrand carpet is usually more affordable than a nylon carpet of equivalent quality. This is possible because the production of nylon is generally more expensive than the production of triexta. In addition, SmartStrand carpets are backed up by serious warranties. A SmartStrand carpet is usually protected by a 25-year texture retention warranty and a lifetime stain and soil warranty. Meanwhile, a nylon carpet usually comes with a 10-year texture retention warranty and a 10-year stain warranty. This clearly showcases the manufacturer’s confidence in the quality and durability of its products. In general, SmartStrand carpets are indeed great. Well, they are rather expensive if you compare them to the low-end nylon carpets, but they are more affordable than high-end nylon carpets. SmartStrand carpets are better than nylon because they are softer, are inherently resistant to stains, and do not release harmful volatile gases. They are much easier to clean; you can just use water to remove stains and dust. In addition, they can be considered ‘greener’ because they are made using the renewable corn glucose in place of petroleum. Finally, SmartStrand carpets are backed by some serious warranties – 25 years of texture retention warranty and a lifetime stain and soil warranty.